The European Tour stops off at the Home of Golf this week for the Alfred Dunhill Championship. There’s probably going to be a sense of decompression this week following last week’s momentous Ryder Cup. The links courses visited this week will likely be abuzz with the afterglow of Europe’s emphatic victory over a much vaunted American side. There will be a few members of both Ryder Cup sides in attendance, perhaps making this one of the more decorated casts in recent Alfred Dunhill memory. 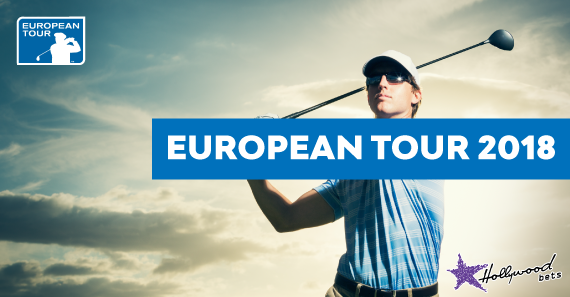 This is the only Pro-Am on the European Tour, which will see a pro paired with an amateur for the first three days. It can make for stultifying viewing, seeing the likes of Sam Jackson negotiating Carnoustie’s pot punkers. The cut will be made on Friday, with the 60 top pros and 20 top sides playing St Andrews again on Sunday. Originating back in 2001, the Alfred Dunhill Links feels far more deeply entrenched than that date would suggest. The first three days will see players alternate between three of the most famous links courses that Scotland has to offer. The Old Course at St Andrews always has the element of nostalgia owing to its status as the ‘home of golf’. Kingsbarnes is the most recent course. Designed by Kyle Phillips, this course will play as accommodating as St Andrews should the weather hold: Branden Grace shot a 60 here en route to victory in 2012. Carnoustie was the sight of this year’s Open Championship and Francisco Molinari’s induction into the pantheon of European greats. Affectionately known as ‘Carnasty’, this course will be the most challenging, with those world famous put bunkers best to avoid. The three courses will be played in rotation over the first three days before the home stretch at St Andrews. Clearly players will be at the mercy of the elements, with a strong wind predicted on Thursday and Saturday. Players drawn to play Carnousite on Friday may feel somewhat blessed. Three-time Major Champion Brooks Koepka and Tony Finau are the two Americans looking to exorcise some demons this week. 2015 Champion Thorbjorn Olesen is a late withdrawal, while Tommy Fleetwood and Tyrell Hatton will likely attract the lion’s share of the galleries. Other players such as Matthew Fitzpatrick and Eddie Pepperell are bang in form, and don’t have any Ryder Cup hangover to deal with. I’ve decided to steer clear of the two more fancied Americans at low prices. Matt Kuchar is an established figure on the PGA Tour whose game hasn’t exactly clicked this season. Having said that, Kuchar is something of a incognito links specialist. The unassuming American possesses three top 10’s at the Open Championship. That obviously includes that heart-breaking runner-up finish to Spieth at Birkdale last season. He also managed a seventh place finish at Carnoustie earlier this season. While he was a vice-captain in Paris last week, I doubt that the unflappable Kuchar will be overtly affected by that. Fisher is a true ‘horses for courses’ pick, representing great value in a market saturated by Ryder Cup players possibly jaded by last week’s exertions. Fisher came into last year’s Alfred Dunhill Links on the back of awful form that read MC-MC-31-MC. He opened up with mediocre rounds of 71 and 68 in an event that is notoriously hard to come back on. But six birdies in his last seven holes on Saturday was followed by a course record 61 at St Andrews on Sunday. It was his third runner-up finish in an event that he relishes. It’s always advisable to keep in mind those links specialists on the outer fringes of the markets. The idiosyncratic nature of links-golf always lends itself to a competent outlier. Ramsay has finished second and fourth in two of his nine starts in this event. Currently sitting at 127 in the Race to Dubai rankings, Ramsey could do with a strong week. He has strong home form, with previous top 10 finishes at both the Scottish Open and Johnnie Walker. He finished 12th at the Made in Denmark event four weeks back, an encouraging sign going into this favoured Ramsey event. Eschewing Ryder Cup heroes, I’m opting for a man in terrific form who probably counted himself somewhat unlikely not to play Le Golf National. Pepperell is in tremendous form, with five top 10 finishes in his last seven starts. He had top 10 finishes at this year’s Scottish Open and Open Championship. He also finished in a creditable seventh place in last year’s Alfred Dunhill Links Championship. With only one title- the Qatar Masters- Pepperell will see this as a perfect opportunity to double his tally. He currently sits at second on tour in shots gained approach, an important statistic when you consider that driving accuracy has largely proved irrelevant here.